This scheduling product enables management of all aspects of a meeting or event. They might target their audience by using the news media, hoping to generate media coverage which will reach thousands or millions of people. They can also invite their audience to their events and reach them at the actual event. Built-in solution for all the Apptha Eventz related aspect such as visibility, social sharing and communication, event registration, SEO optimization, get direction and payment. Social sharing, rating a event, join to a event , Invite to event using email commenting events, event image slider, upcoming event, current event, past event features are available. 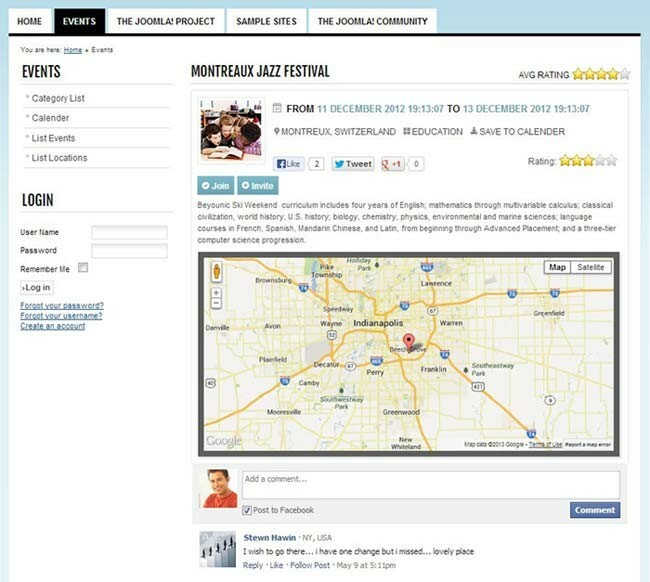 And also map, auto complete search option, Weekend events and Monthly events options are given to make user friendly. In the event details page, there are two options: Join and Invite. By clicking on the join button, any user can join the event, whereas the invite option allows users to invite their friends to the event. The invitation can be sent via Facebook, gmail or by simply entering the email addresses. There is a location page that displays the Google maps option. 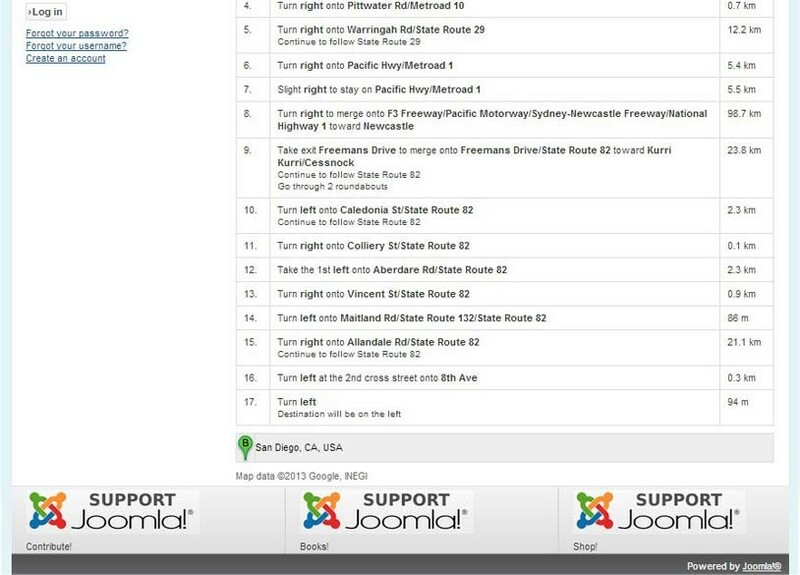 User can enter their location and get directions to reach the venue of the event. Under the Dashboard menu, admin can view the details of total revenues, last payments made, new subscribers, high rated events, upcoming events and current events.16. 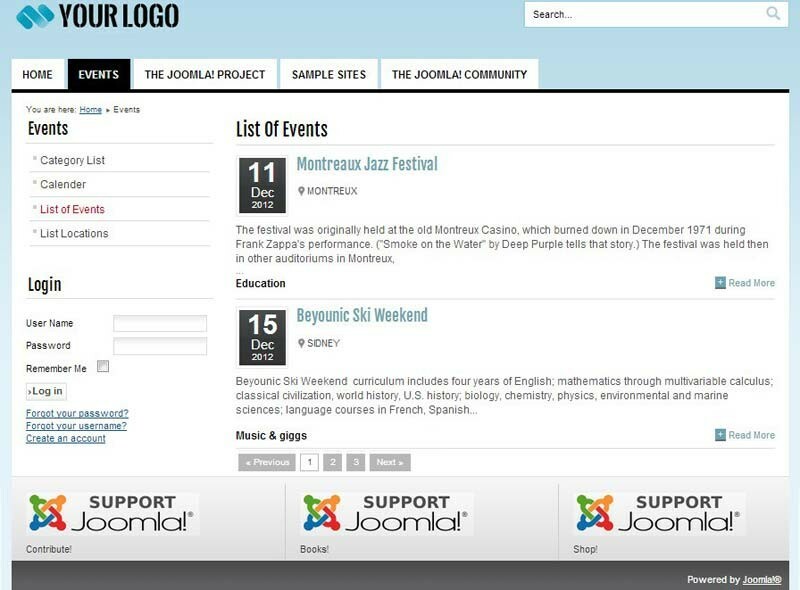 Apptha Eventz is a Joomla module that allows you to schedule events in an easy and effective manner. Whether it is for conferences, meetings, stage shows, personalized programs, resources or anything, this Apptha Eventz component helps you to schedule them in a user friendly manner. The product supports multiple payment gateways. This Joomla scheduling product has got a built in solution for all the Apptha Eventz related aspect such as visibility, social sharing and communication, event registration, SEO optimization, get direction and payment. 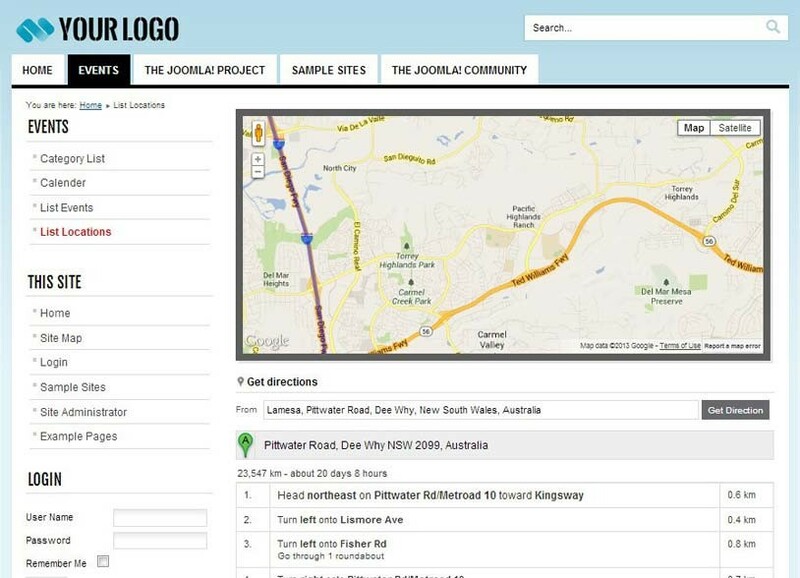 Users can search events from the their location to a specific distance. The Google maps functionality embedded in this component allows users to get directions from their location to the venue where the event is taking place. Apptha Eventz enfolds features like social sharing, rating a event, join to a event, invite to event using email commenting events, event image slider, upcoming event, current event, past event, map, auto complete search option, Weekend events and Monthly events options. Right from dashboard to settings, at the admin end, the features are immense. Adding and managing the events are done at the back end by admin. Admin can enable / disable the event ratings, Twitter, Google Plus and Facebook modules. Selecting colors, import / export options, front end display options are all controlled by the admin. At the user end, a calendar is displayed listing the events, which when clicked takes to the event page. Apptha's new Joomla component named 'Apptha Eventz' is built with the motto of developing an exclusive Apptha Eventz system. 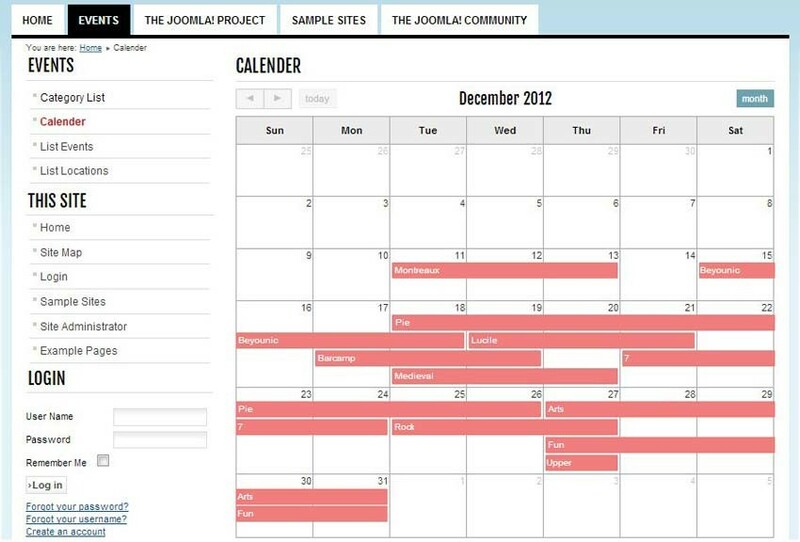 This Joomla extension has got some great features that makes it a fully integrated scheduling product. It's a good module for scheduling events. I recommend Supporting features as well. I didn't see any drawbacks. But the price is high.